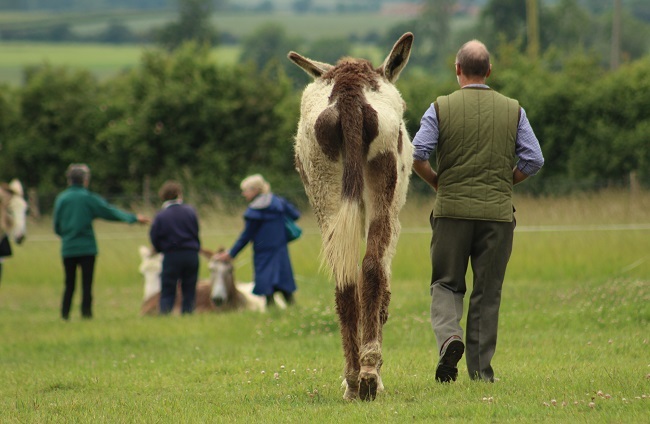 On Saturday, the British Mule Society held their AGM at Hamerton Zoo Park, home to the Hamerton Donkey Stud. 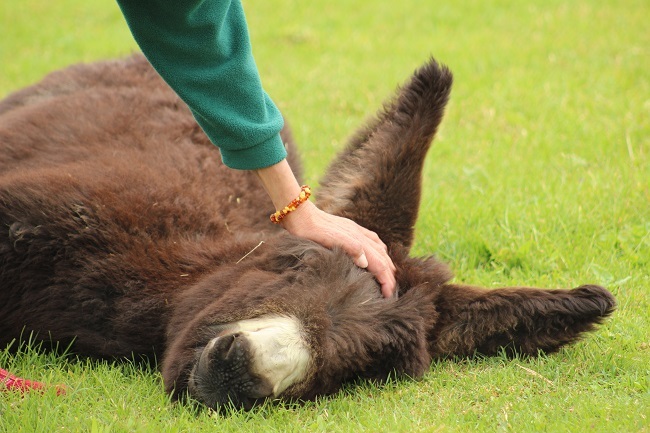 It had been held there last year, too, and I was excited about getting to cuddle baby donkeys again! No need to get up, little one. 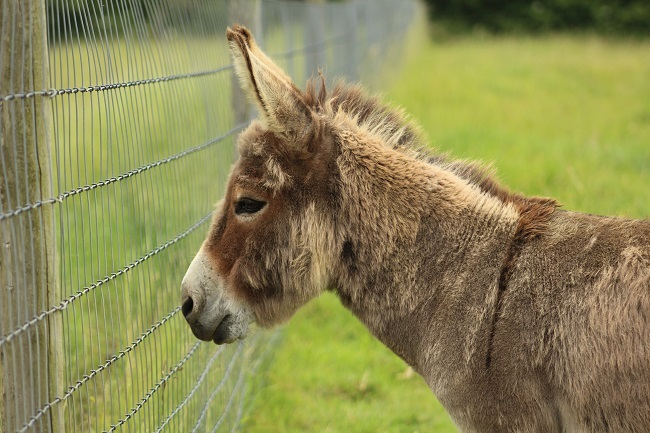 The stud has three breeds of donkey: the highly recognisable Poitou, the American Mammoth and the Miniature Mediterranean. 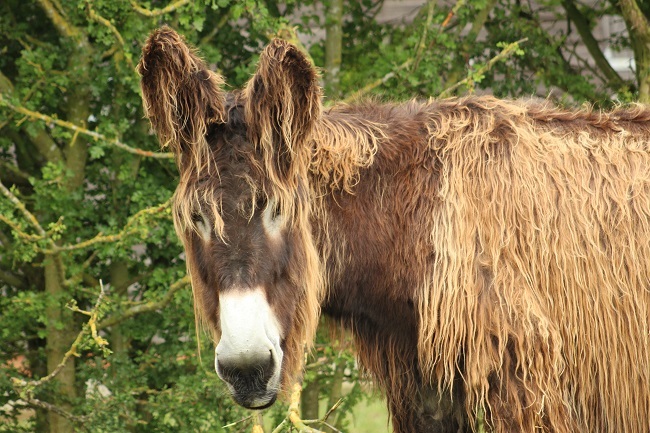 The Poitou donkey, a French breed, stands between 13hh to 15hh and has a characteristic shaggy coat – called a “cadanette”. 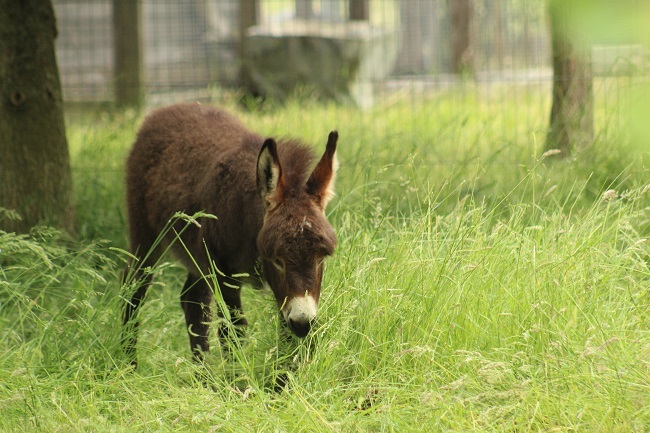 I also learnt that unlike most donkeys, they don’t have a dorsal stripe – not that you’d necessarily notice with all that hair! 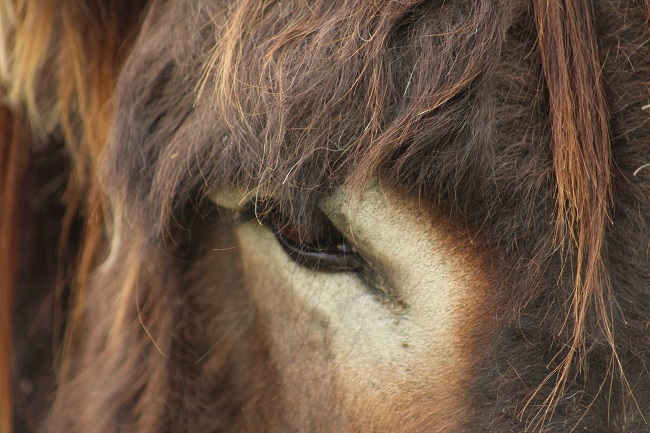 They were specifically bred to create large, strong mules when crossed with the Poitevin draught horse. 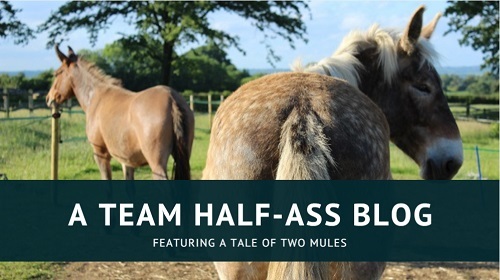 It’s also thought that they could have been a status symbol in the Middle Ages, due to their size and their ability to sire fantastic mules. As with many draught animals, increasing mechanisation saw a decline in the breed and by the 1970’s there were only forty-four Poitou recorded worldwide. Today their numbers have increased to around eight-hundred. 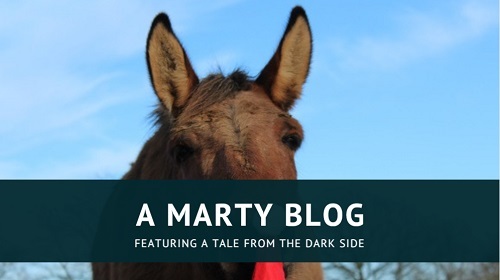 The American Mammoth is the world’s largest donkey, and – like the Poitou, who was used in the breed’s creation – they were bred specifically to produce large mules. 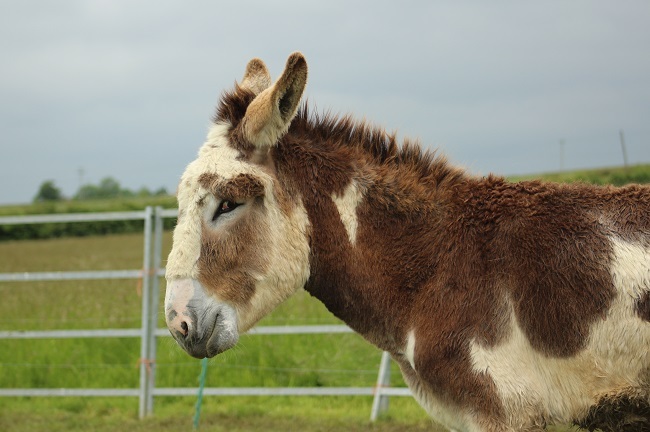 Usually between 14hh and 15hh, the tallest donkey in the world is Romulus – an American Mammoth who stands at 17hh! They come in any colour, but black is highly prized as the archetype and is very rare today. The Mammoths pictured here are all youngsters. I didn’t manage to get a good shot of their jack, the wonderfully named Bramoth’s Estiffanugla, and the mature jennies were all in a field elsewhere in the village. The Miniature Mediterranean is a very popular breed, standing at no more than 36″ and originating from the islands of Sardinia and Sicily. Due to their small size, they were often used to turn grindstones in peasant households. 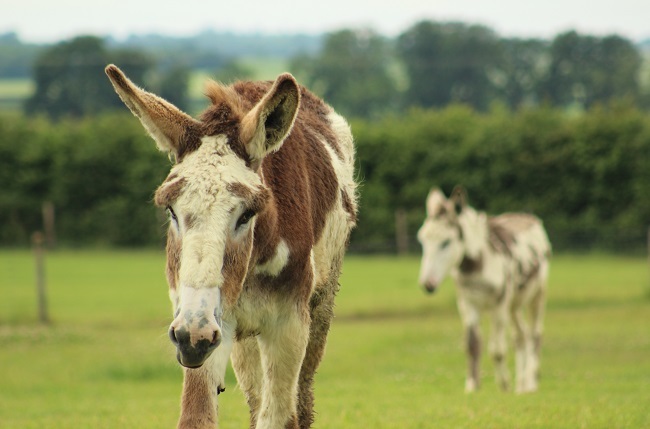 They are said to be harder working than standard-sized donkeys! Their lifespan is between 25 to 35 years. They make very good pets, but are also capable of pulling a cart or carrying a pack. I’m afraid I did very badly at capturing the Hamerton Miniature’s on film – I have a shot of their jack, Jasper of Hamerton, and a very sweet little foal who came running as soon as it saw us (and was then too close for my telephoto lens). 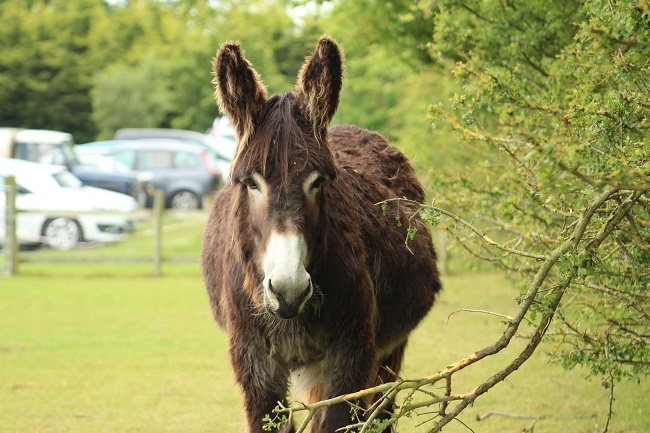 Thank you very much to Hamerton Zoo Park and staff for allowing us to hold our AGM there, and for giving us such a fantastic tour of their stud. They are open year round, closed only on Christmas and Boxing Day, so do give them a visit if you’re in the Cambridgeshire area! 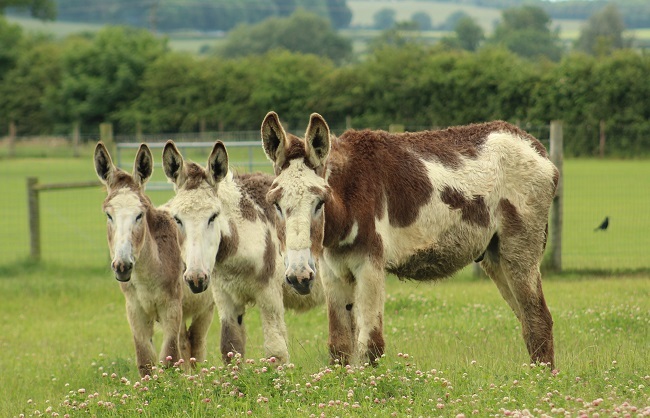 You can also join the British Mule Society to attend our AGM next year, and be involved in other mule events. Baby donkeys are so cute. I want to have a mini one day. Great photos! We have 3 mammoths here in Finland and 2 of them are bred in Hamerton Zoo. Do you know is there any other mammoth breeders in Europe? I must visit Hamerton next time I’m in UK!